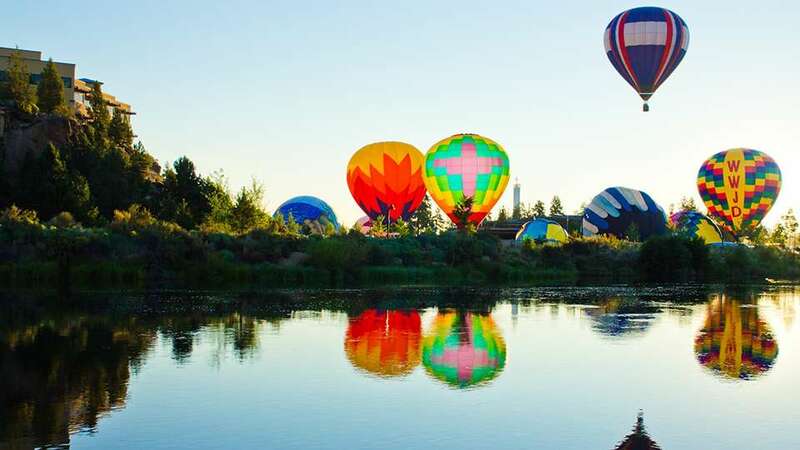 One special weekend every summer, the morning skies above Bend come alive with the entrancing rainbow colors of hot air balloons. Wake up the family early and get out to R.E. Jewell Elementary School to watch these sleeping giants come to life. Visitors might even get to meet a pilot and help inflate one of the behemoths. Or just stand back and watch the magic happen as support crews do their part to help the balloons rise into the sky to greet the morning sun.